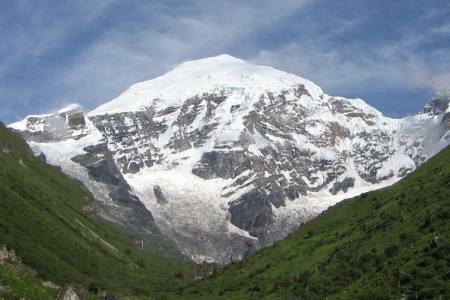 Bhutan Snowman Trek is one of the most challenging trek in Bhutan and ranks amongst the very finest anywhere in the Himalaya. 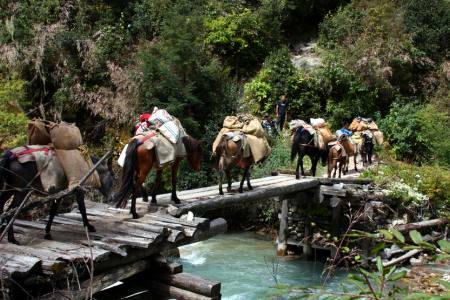 It is undertaken by only a handful of trekkers each season and accesses Lunana, the most remote region of Bhutan. 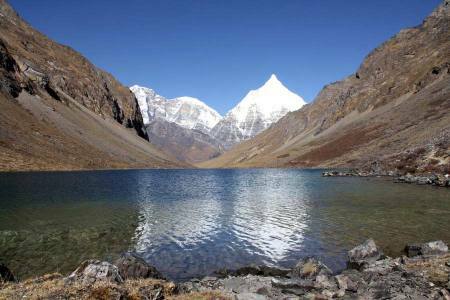 The trek crosses eleven high passes over (4,500m/14,763ft) including 5 over 5000 metres, and visit the almost separate mountain kingdom of Lunana, one of the remotest inhabited valleys on the planet Earth. Along the way we'll journey through fabled villages, such as Laya and Thanza, walk beneath peaks of six and seven thousand-metres, including Chomolhari, the astounding Jitsu Drake, and the World's highest unclimbed peak, Gangkar Puensum. 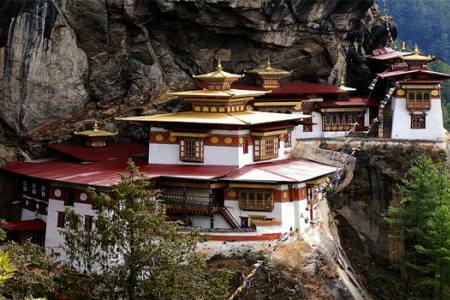 We'll also have time to absorb some of the incredible culture of this unique Himalayan Kingdom with visits to the spectacular cliff-face Takstang 'Tiger's Nest' Monatery and the picturesque Punakha Dzongthat define the borders of Bhutan and Tibet. 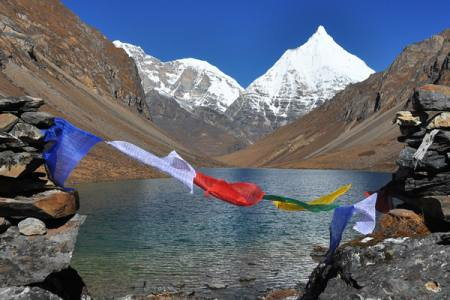 Savouring views of Chomolhari and Jichu Drake, we follow trails through yak herders encampments and isolated farming settlements as we prepare for our trek to Lunana. 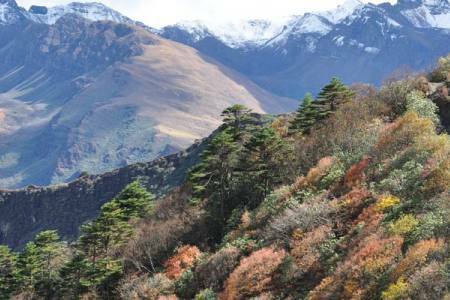 Amid a constant backdrop of 7000m peaks we discover a region of tiny Buddhist monasteries and secluded villages that are isolated from the rest of Bhutan for many months of the year. 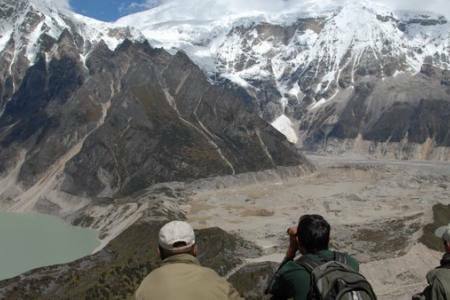 A truly classic Himalayan trek, which we have operated successfully for many years, join us for a once in a lifetime adventure! Day 28: Onward flight from Paro, (B). Day 28Onward flight from Paro, (B).